In response to her brother’s sudden death, Hoogland explores the shift in gravity his dramatic absence creates. 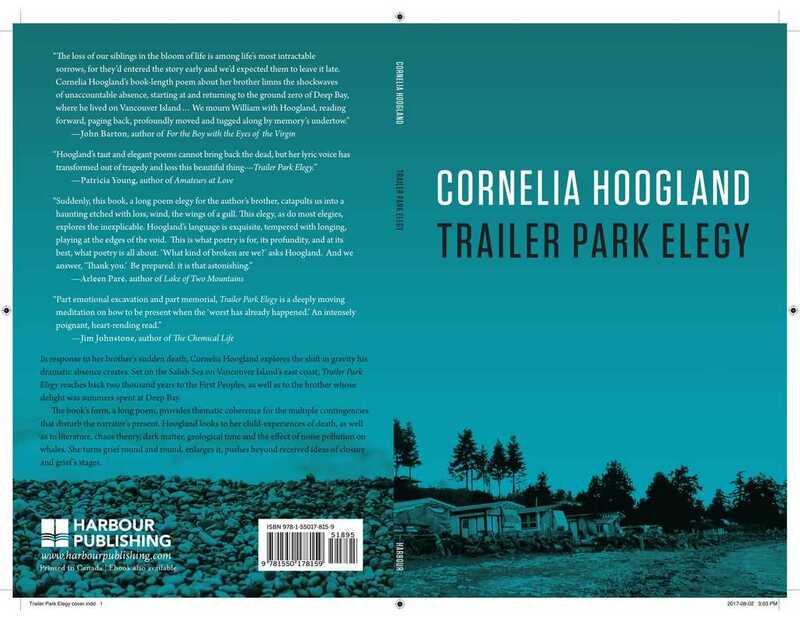 Set on the Salish sea on Vancouver Island’s east coast, Trailer Park Elegy reaches back two thousand years to the First Peoples, as well as to the brother whose delight was summers spent at Deep Bay. Hoogland looks to her child-experiences of death, as well as to chaos theory, dark matter, geology, and the effect of noise pollution on whales. She turns grief round and round, enlarges it, pushes beyond received ideas of closure and grief’s stages. Death is not only part of life, the dead assign their unfinished work to the living. Hoogland’s narrator puts in the time. Listens.